Know About Miscarriages To Predict The Condition In Early Stages! Home PREGNANCY ISSUES Know About Miscarriages To Predict The Condition In Early Stages! Miscarriage is also known as spontaneous abortion (SAB). It is defined as a sudden loss of pregnancy on its own prior to twenty weeks gestation. In other words, it is a natural occurrence of nonviable fetus expulsion from the uterus. Miscarriages are very common form of pregnancy loss. Most miscarriages take place within the first 13 weeks of gestation. According to the recent research, it is found that 10-25 percent are known pregnancies that result in miscarriages. By understanding the types and risk factors of miscarriages, you can predict the condition in advance and avoid severe complications. The most common risk factor for miscarriage is age. As the maternal age increases, the risk of having miscarriages also increases. Having pregnancy at an age more than thirty-five have high chances of developing miscarriages. Fetal chromosomal abnormalities are one of the most common miscarriages risk factors that affect half of all early pregnancies. Most chromosomal abnormalities are due to an abnormality in the egg, sperm cell or both. Gene defects are another risk factor for miscarriages. Although some gene defects lead to miscarriage, generally it results in cystic fibrosis or Duchenne muscular dystrophy. Chronic illness is another risk factor where diseases such as kidney problems, high blood pressure, diabetes, and systemic lupus may lead to miscarriages. Hormonal problems, infections are also the risk factor of miscarriages. The hormonal problems include low progesterone levels, high LH levels, or thyroid abnormalities. Environmental hazards such as exposure to radiation, toxic substances, smoking, alcohol consumption, drug use, malnutrition, and intake of extreme caffeine can also lead to miscarriages. Threatened Miscarriage is a type of miscarriage that indicates uterine bleeding accompanied by cramping or lower backache in early stages of pregnancy. In this condition, the cervix remains closed. However, the chances of continuing pregnancy are very high. Inevitable Miscarriage refers to a condition where bleeding is accompanied by abdominal or back pain in early pregnancy. In incomplete miscarriage, the cervix remains open and pregnancy will be lost. Incomplete miscarriage refers to a miscarriage that occurs when pregnancy loss starts but some of the pregnancy tissues remain in the uterus. In this condition, the cervix will remain open. Complete miscarriage refers to a condition where the pregnancy loss takes place completely. In this type of miscarriage, the uterus will be empty and the cervix remains closed. Missed miscarriage is a miscarriage where the development of embryo stops some weeks ago leading to embryonic death. This miscarriage occurs without expulsion of the uterus and bleeding at that time. You may experience this type of miscarriage without knowing. Recurrent Miscarriage (RM) refers to three or more continuous early miscarriages. Blighted ovum is also known as an embryonic pregnancy. In this condition, the implantation of fertilized egg takes place in the uterine wall in the absence of fetal development. Ectopic pregnancy is a type of miscarriage where a fertilized egg develops outside the uterus. Mostly it implants in the fallopian tube. Molar pregnancy is also a type of miscarriage that results due to mass of abnormal tissue in the uterus. These are different types of miscarriages which you should know to avoid them. 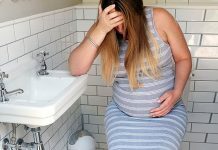 Previous articleKnow The Facts About The State Of Pregnancy And Its Symptoms! Next articleUse Pregnancy Calculator To Predict Your Due Date Of Pregnancy! A note of thanks to all at The Pregnancy Zone for helping women who are pregnant, and who’ve lost their babies to miscarriage, etc. I appreciate your visit to my site, and made sure all the women who visit can access your site easily. You’ve done a great job of presenting useful information for all aspects of pregnancy, and pregnancy complications. Host of MiscarriageHelp.com and Author of I Never Held You, a book on miscarriage, healing and recovery. I had a miscarriage at 10 weeks. My thyroid levels were very high. They diagnosed me with hyperactive thyroid. I had to have a D and C because my body wasn’t wanting to dispose of the baby. I went to a thyroid specialist and he said that I must have had a virus or something and it attacked my thyroid. This was a year ago. My thyroid is normal again. I just lost another baby but I was only about 20 days along. I went in for an HSG and I was just pregnant, but a few days later I started bleeding and cramping. I don’t know what to do now. My doct wants me to get an ultrasound. I have been tested for antibodies, progestrone,haven;t got the results back yet, and I think that is all. I think I need to go to a specialist. The doctors where I live can’t get me in for 2 month for my ultrasound. I want to get on top of things. I am just now 32 years old.